Identifying Your Seashells, Where to Start? You’ve just returned home from a vacation at the beach and each day you added to your collection of treasures amassed from walks along the shore. As you clean the shells and carefully add them to a glass bowl, you begin to wonder just what they are called. Is it possible there is a rare seashell in your bucket? To begin a search for names of shells, I have a few pointers to pass on. Besides this blog, I have written an article about Types of Shells where I include photos and descriptions of some of my seashells. I am not a seashell expert, so although I will try to help you identify something, I usually find helpful information in my favorite seashell ID books. My favorite Florida beaches ID book is Florida’s Living Beaches by Blair and Dawn Witherington. It covers more than seashells because Florida beaches also contain bugs, birds, turtles, driftwood, sea glass, animal tracks, flowers, plants, dunes, and even rocks. It is a complete beachcombing guide. Most people don’t realize the abundant variety of shells out there. To make it easier to identify the shell in your possession, first narrow down the field. 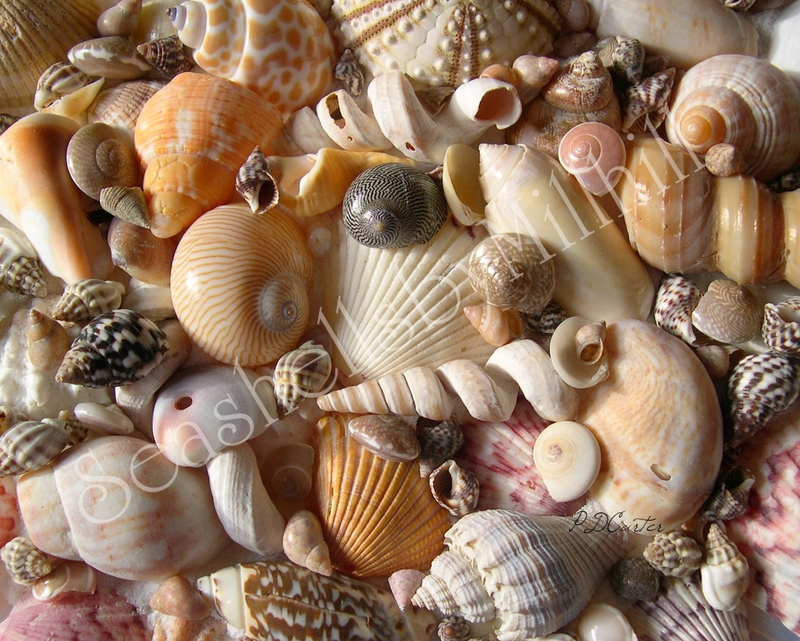 If you search for “seashells” you will be overwhelmed – mostly with photos and not too much info. The truth is that most people love seashells but that is where it stops. Most, I believe, don’t ever give much thought to what lived inside and how the shell was created, or how it got to the spot where you picked it up, much less what it might be called. So photos online will be easy to find, but where is that picture (and info) you need to identify what you have? The first thing I suggest when searching online is to narrow the field by searching for either “gastropod” or “bi-valve“. 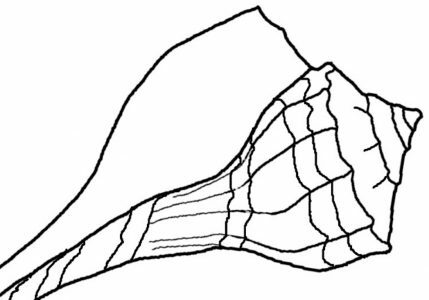 If your shell was made all in one piece it is a gastropod (univalve), and if it’s in two sections hitched together, like a clam, (even if you only have one half) then it’s a bi-valve. That should give you a bunch of pictures to view. Also mention where it was found. Sometimes shells with the same name will vary in appearance. For instance, the gastropod you found may be a juvenile (baby seashell) and doesn’t look at all like the large shell it would have grown into. See my Lightning Whelk picture, with mature and juvenile shells side by side. It took me a while to figure out what that little one was! Scallops and clams are found in a variety of colors and sizes as are many other types of shells. Shells which are covered in periostracum (a flaky black substance) may look nothing like the beautiful photos you find online. And shells that have been worn, broken and filled with tiny holes (like my photo above) may be tough to identify. I suggest buying a good seashell identification book. Buy one that is specific to your area, or the area you plan to visit, because the same types of shells are not always found everywhere in the world. The great thing about having a book to reference is that it should give you the scientific name of the shells. The National Audubon Society Field Guide to North American Seashells (National Audubon Society Field Guides) is the book I started with. Once you find the scientific name of a shell, it’s easier to search online for a picture. The more you learn about seashells, the less you will take them for granted, and the more you will appreciate each shell you collect for the diverse and amazing animal that created it. Either get a good book about shells in the location where yours came from or find a seashell collectors forum where experts may be able to help. I do have a seashell compendium book and I may find something in there to help. Thailand. The interiors of these shells can be a variety of lovely colors. I collected shells while in the Philippines and my husband added to them when he was stationed in Guam and Thailand. The many different murex shells are my favorite. The long, delicate spines of some varieties make them hard to find intact. I have a lively large white on my husband got while diving in Guam. All those places would be perfect for shelling. I love the murex shells too, but have never found one myself. Hi, recently purchased a home in Weeki Wachee, Fl. Love looking for shells. When we go to the beach, l never get to lay out, because l never stop looking for the shells !! Just started getting serious about identifying the shells l find. Thanks for the good info !!! Hi June, glad you like the blog. Collecting shells is more fun than sitting in a chair on the sand! Go to Sanibel island by the light house to start. What great information you have on your posts. You have done such a beautiful job with your site. You’re doing almost exactly what I want to do, with my website. Except I have a long way to go. I am hoping that you will help me by critiquing and giving me advice. I am enjoying reading your posts. You write very well. Thanks for the nice compliment Kinda. It has taken me years to acquire readers and followers, and to become a better writer. It’s a lot of trial and error. One thing that has helped is being part of a group of writers on the Wizzley writing site. I was with other groups off and on also where I learned a lot about blogging and SEO. My main focus is growing my business, but writing is a big part of that. I still have a lot to learn – do we ever stop? I’ll be glad to keep in touch. Sorry it took me so long to read this reply from you. I had to take a break from creating my website and keeping in touch with everyone, due to medical issues. I am feeling much better now and am ready to get my seashells on the website and posting great content.